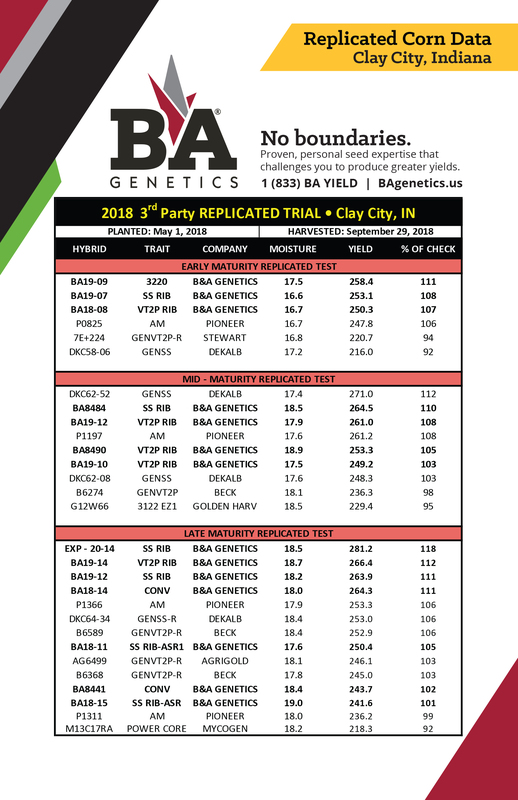 Take a closer look at how B&A Genetics corn hybrids performed in local, independent trials from across the region. 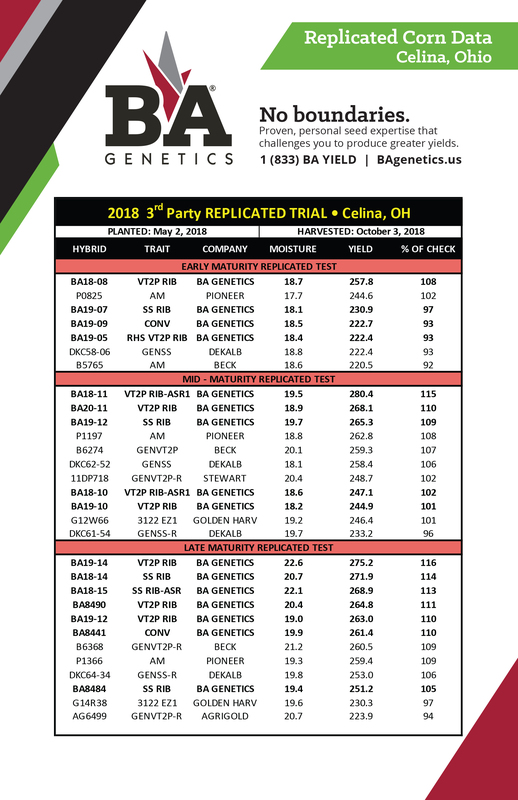 The following yield data is derived from non-biased trials through university studies and third-party replicated plots. Ready to challenge what’s possible for your acres? Let’s connect to discuss which options are best for your operation.